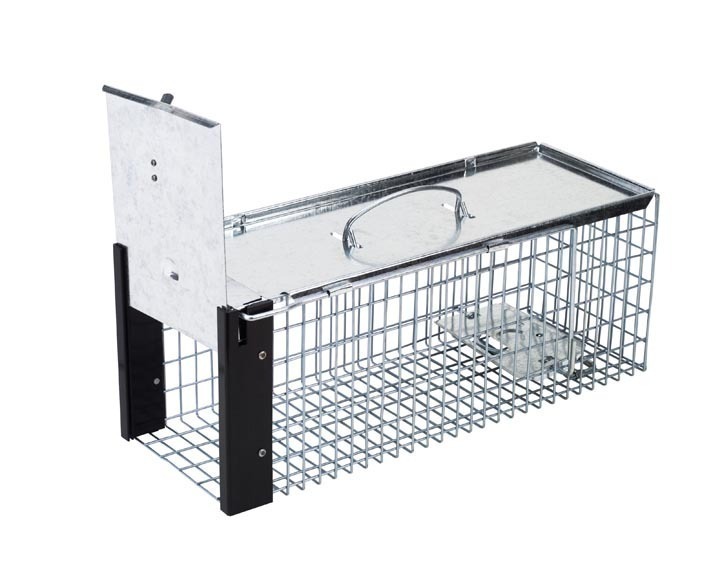 Ready-to-use cage trap that is easy to bait and set. Long-lasting galvanized mesh design. 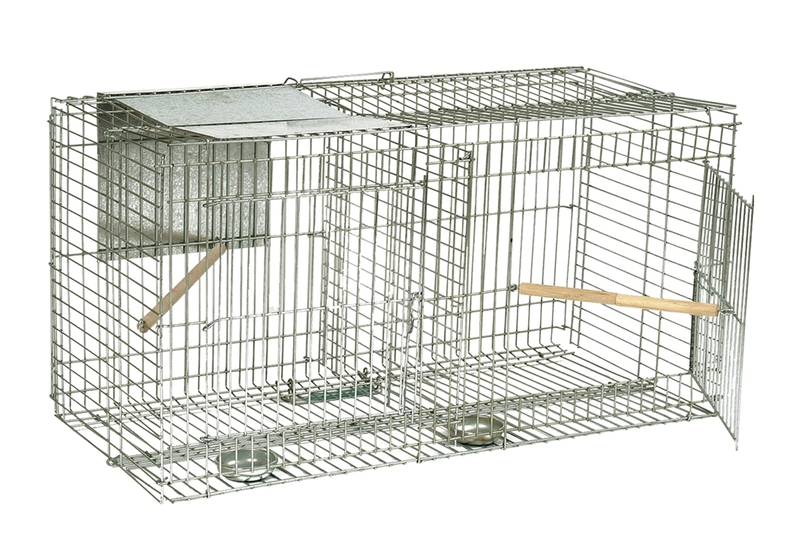 Solid top and carrier handle for easy handling. 40 x 16 x 16cm. Easy-to-set with positive spring-loaded trigger action. Informative pack-design with comprehensive instructions. Suitable for indoor or outdoor use. Protective handplate and carrier handle for easy handling. 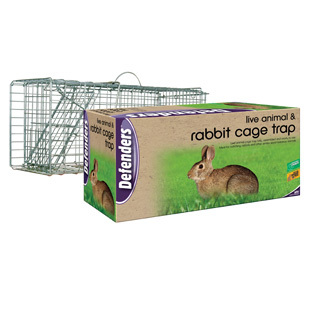 Camo Covers from Defenders encourage animals to enter cage traps and helps to protect and pacify captured animals in the trap. 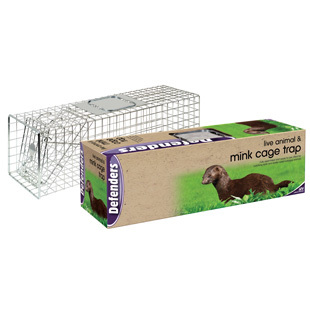 The natural camouflage pattern helps disguise cage traps and blend them into surrounding habitats.